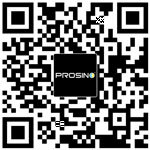 PROSINO Shredder technical team is not a call center, we are people who know the machine very well and already built a strong reputation for responsive customer support. We are proud of innovative and creative ideas that are shown through our industrial shredders and granulators. If you have a shredding , crushing or granulating requirement, just send us your request and we will provide the efficient and cost effective solutions for your choice. We provide installation service with a cost-based charge and corresponding on-site training. When you owns a PROSINO Shredder or granulator or whole production system, part replacement especially wear parts like cutters is quite necessary after the machine runs for a certain period. We care about our sold machines. We have the system to check with customers about the working status of the machines periodically. If you have any technical questions, we will respond to you within one working day.